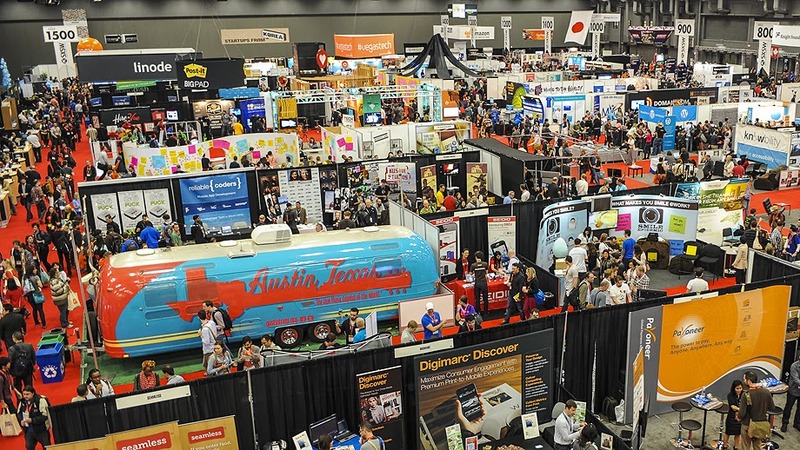 SxSW is basically 3 enormous, loosely related, overlapping conferences -- Interactive, Film, Music -- drawing 250,000+ people to downtown Austin, Texas, over the course of 2 weeks. Literally thousands of events, both official and unofficial, run 20 hours per day, from 7am until 3am the next morning. The event draws the earliest adopting techies, geeks, film buffs, music aficionados, angel investors, venture capitalists, musicians, recording studios, actors, agents, celebrities, and vendors of every imaginable kind. With a keen eye, I also spotted one or two hipsters. 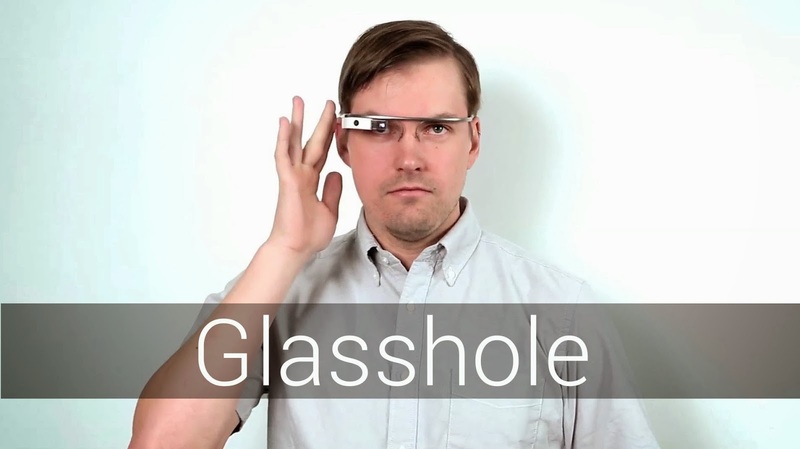 And throngs of Glassholes. The largest keynote venues (plural) hold over several thousand people, and fill to capacity, with both closed circuit and Internet streamed broadcasts on display in multiple overflow ballrooms. 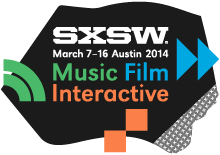 Technical sessions, presentations, and panels are spread across 30 different venues around downtown Austin (e.g. The Austin Convention Center, The Hilton, The Marriott, The Driskill, City Hall, The Chamber of Commerce, Palmer Event Center, the Omni, the Intercontinental etc.). Tracks are roughly contained in a given venue. While shuttles are available for moving between venues, the weather in Austin in March is gorgeous and everything is roughly walkable. smaller businesses. This was a very familiar crowd, savvy and familiar with free software and open standards. These are thousands of the hackers that are building the next 40 new apps you're going to install on your phone or for which you'll soon have to generate a new web login password. 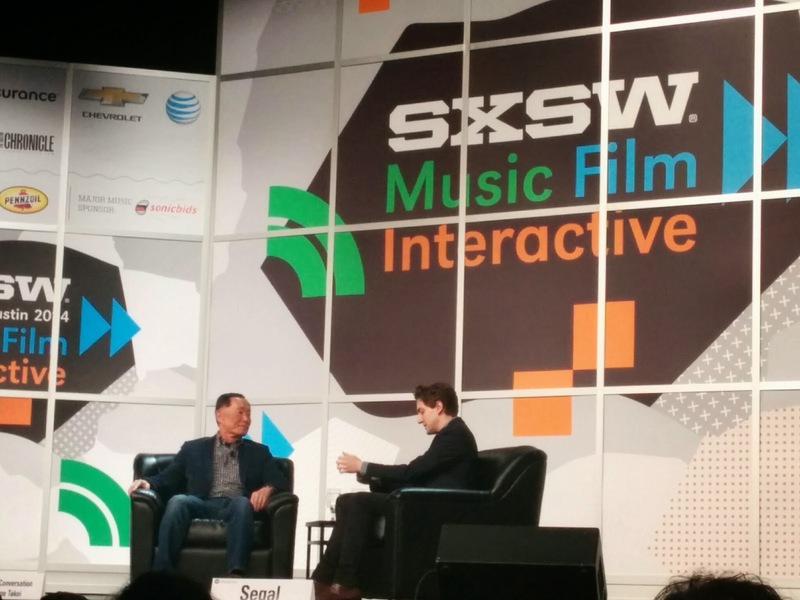 SxSW has been used to launch or spread countless social media platforms, including: Wordpress, Twitter, Foursquare, etc. Early adopters now flock to SxSW in droves, to learn about new hardware and software gadgets before their Silicon Valley friends do. Or, depending on your means, perhaps invest in said opportunities. The tradeshow does require an expo badge, but in my experience, its pretty easy to come by an expo badge freely. The expo floor includes 300+ booths, wide and varied, covering technology, gadgets, startups, film, music, and more. Nearly 75,000 unique badges entered the tradeshow floor. I saw at least 4 different public cloud vendors (Rackspace, SoftLayer, DigitalOcean, and Codero) with sizable displays. I spent a good bit of time with Codero. They're a new(ish) public cloud offering, built on Ubuntu and CloudStack, based in Austin and Kansas City. 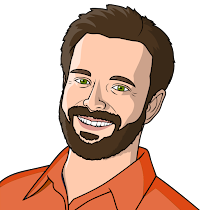 I also spoke with a couple of data analytics start ups, and talked a bit about Ubuntu and Juju. I was surprised to see Ghostery on exhibit (I'm a big fan, actually, use it everywhere!). NASA had a spectacular booth. I a few booths displaying their wares on Unity desktops (woot). There were several RaspberryPi demos too. 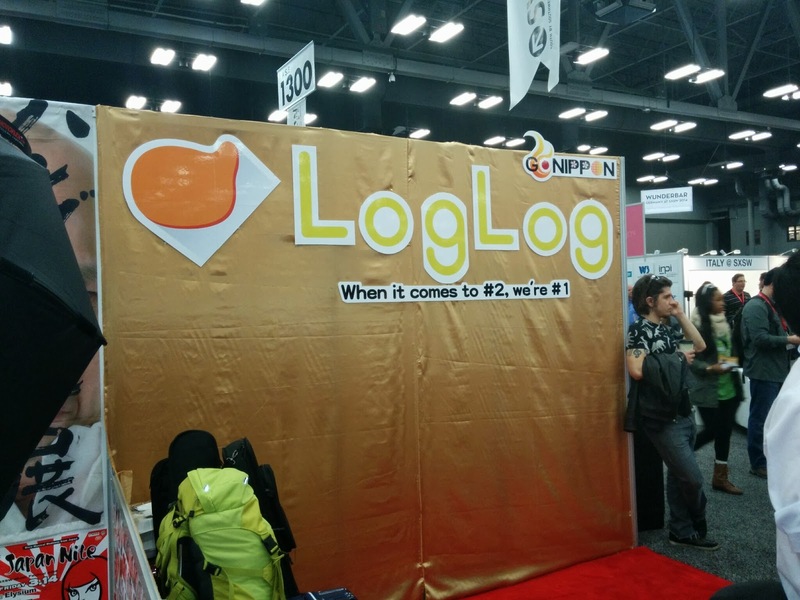 The most amusing start up was from Japan, called LogLog, "When it comes to #2, we're #1". Seriously. I wore an Ubuntu t-shirt each day, and several people stopped to ask me where the Ubuntu booth was. It's probably worth considering a booth next year. 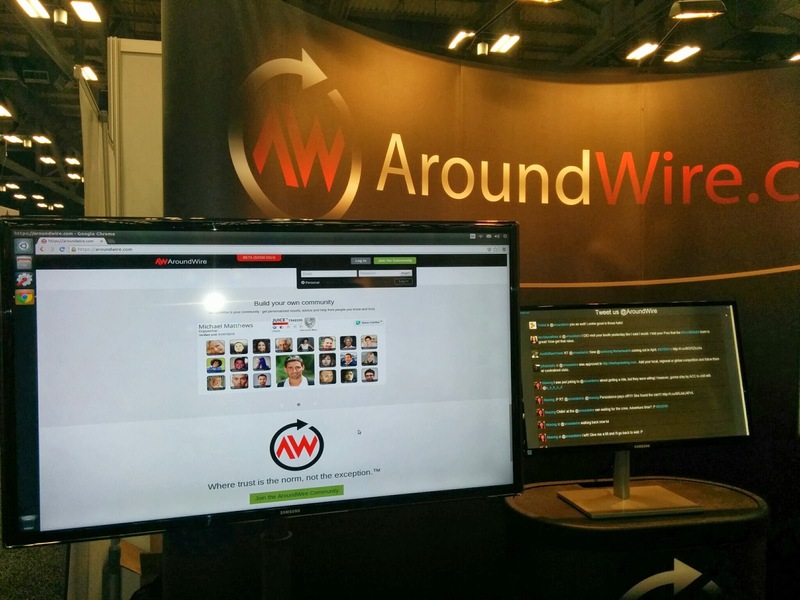 I can see where both a Juju GUI and a few Ubuntu Touch devices would generate some great traffic and press at SxSW. This is definitely the crowd of next generation app developers and back end social media developers building the new web. It would behoove us to help ensure they're doing all of that on Ubuntu! I missed Friday and Saturday, but I did attend sessions Sunday, Monday, and Tuesday. generally speaking, freedom. I don't suppose I was expecting this. There were numerous mentions of open source, Linux, and even Ubuntu in various capacities as being better options that the status quo, for many of the social and technical issues under discussion. Perhaps I gravitated toward those sessions (okay, yeah, I did). Still, it was quite reassuring that there were so many people, unknown to many of us, touting our beloved free and open standards and software as "the answer". The other theme I picked up on, is how "connected" our media and entertainment devices and mechanisms are becoming. Netflix is designing TV series (House of Cards) based on empirical data that they collect, about what people like to watch. Smart TVs will soon deliver richer experiences about the sports and programming we watch, with real-time, selectable feeds and layers of additional content. 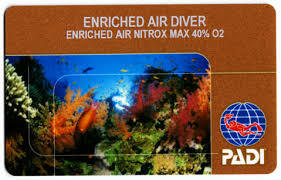 Your handheld devices are becoming part of the entertainment experience. Here are a few highlights, mostly from names that you might recognize. Perhaps the most anticipated (and reported upon) keynote was the remotely delivered panel session with infamous NSA leaker Edward Snowden, via Google Hangout. The largest part of the conference center was packed to capacity, and local feeds broadcast the session to much of the rest of the conference. I suppose some of you saw the coverage on Slashdot. 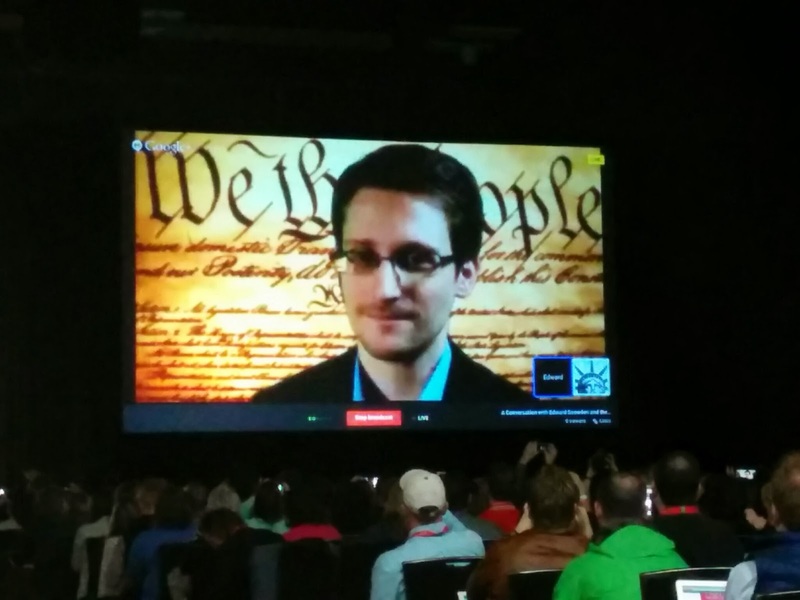 Snowden's choppy, Google+ hangout picture featured the US Constitution displayed behind him. He said that the NSA collected so much information that they didn't even know what to do with it, how to process it. Collecting it proved to be the easy part. Processing it was orders of magnitude more difficult. 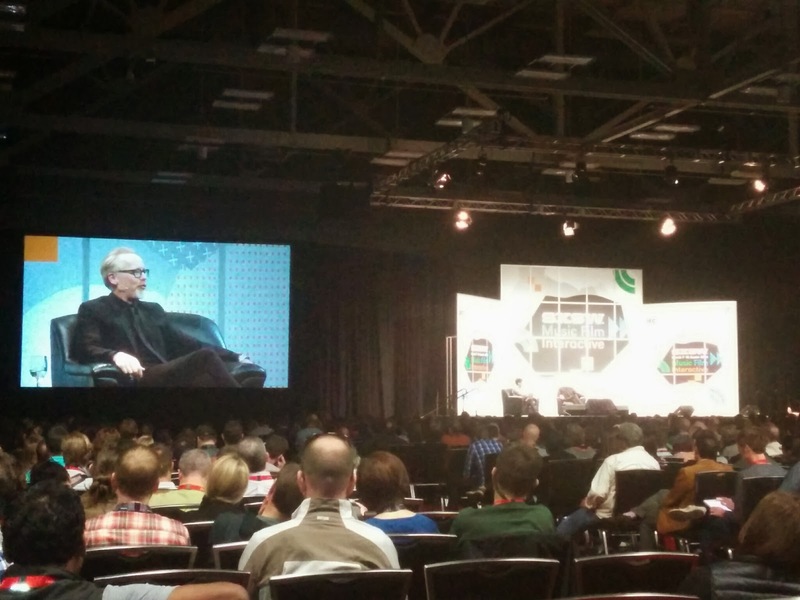 He suggests that developers need to think security and encryption first, and protect user data from the start (and the SxSW tech savvy crowd are the ones to do it). He said that encryption is not fundamentally broken, and it generally works very well. That the NSA spent for less time trying to break systems, than to just monitor all of the easy targets. He said that he felt like he did his job, by blowing the whistle, in that "he took an oath to defend and uphold the constitution, and what he observed was abuse and violation of it on a massive scale." Adam Savage (co-host of Mythbusters) delivered the best canned presentation of the entire event (for me). He discussed Art and Science, how they're fundamentally the same thing, but we as a society, lately, haven't been treating them as such, and they're tending to drift apart. He talked about code as art, as well. technology (in high school), until he was tutored by one of the geekiest kids in school. He then fell in love with technology (at 17), and has been an early adopter ever since. He says he has both Android and iPhone devices, talked extensively about the Fitbit (the co-host was from Qualcomm), and other wearable technologies, particularly as they relate to sports, health, and fitness. George Takei is 76 years old, but has the technical aptitude of a 24 year old computer whiz. He bridges at least 3 generations, and is on a quest to bring technology, and especially social media to older people. I've been a subscriber to his feeds on Facebook/Twitter/G+, and he's really sharp witted, funny, and topical. He discussed his tough life growing up (in an American concentration camp for Japanese Americans during WWII), coming to terms with his sexuality, entering showbiz, Star Trek, his (brief) political career, and now his icon status in social media. Brilliant, brilliant man. Entertaining and enlightening session. Daniel Suarez is an author of (now) four cyberpunk technical thrillers. I reviewed his first book (Daemon) back in 2008 on my blog (and a few more). His publicist reached out to me, put us in touch, and we've been in communication ever since. 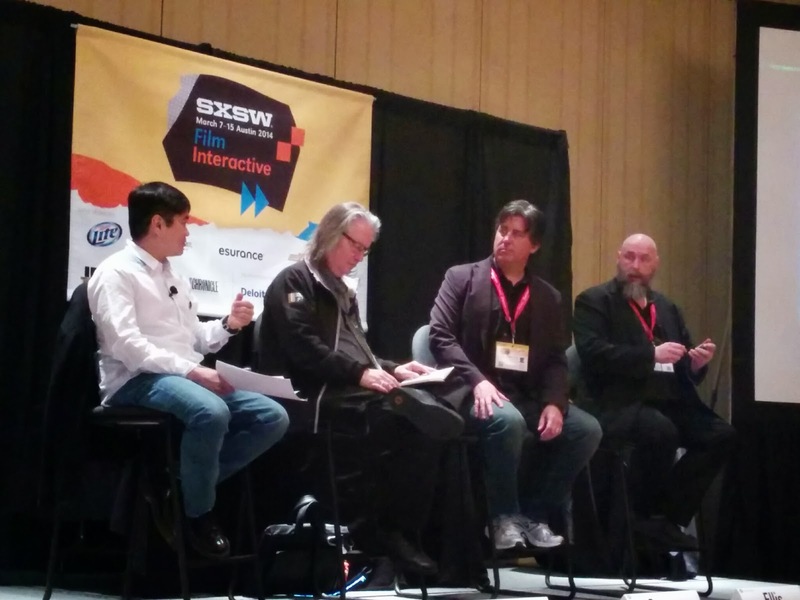 He sat on a panel with Bruce Sterling and Warren Ellis, hosted by Joi Ito (MIT Media lab, early investor in Twitter, Flickr, Kickstarter). Daniel invited me out for dinner and drinks afterward with he and his wife, and we had a great time. He's a huge fan of Ubuntu. He says that he wrote all of his last book (Influx) on an Ubuntu laptop (woot). In his previous book (Kill Decision), Ubuntu made a brief cameo on the main character's computer (albeit compromised by a zero-day attack). 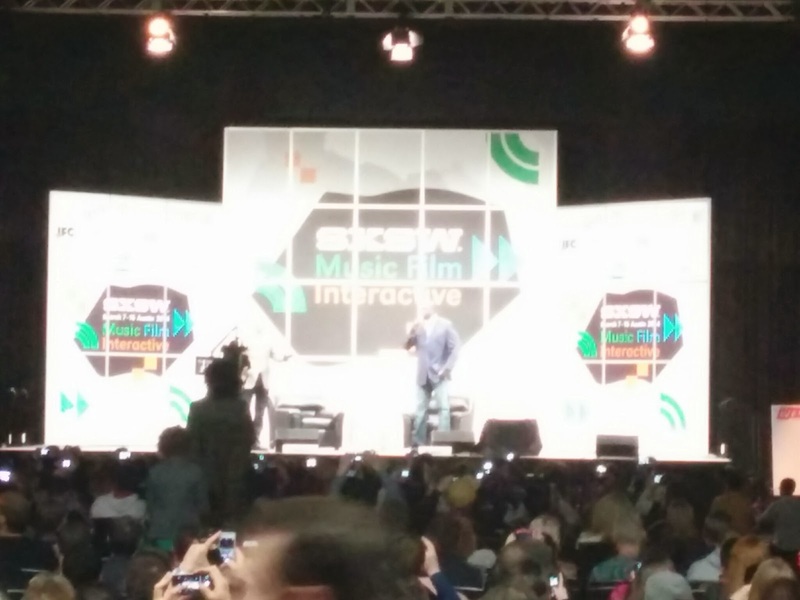 I did manage to catch one documentary while at SxSW... 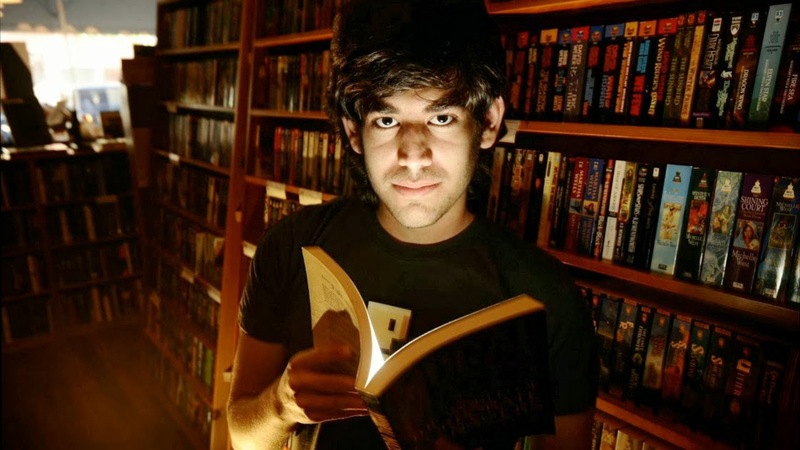 The Internet's Own Boy: The Aaron Swartz documentary. Aaron's story clearly resonates with the aforementioned themes of freedomness and openness on the Internet. While I didn't know Aaron personally, I was of course very much aware of his work on RSS, Reddit, SOPA/PIPA, etc. I feel like I've known many, many people like him -- brilliant programmers, freedom fighters -- especially around free software. His suicide (and this documentary) hits pretty hard. There are hundreds of clips of him, from 3 years old until his death at 26, showing his aptitude for technology, sheer brilliance and limitless potential. He did setup a laptop in a closet at MIT and downloaded hundreds of gigabytes of copyrighted JSTOR documents, and was about to stand trial on over a dozen felony counts. The documentary argues that he was to be "made an example of". Heartfelt interviews with Lawrence Lessig, Cory Doctorow, Sir Tim Berners-Lee, as well as Aaron's friends and family paint extremely powerful portraits of a brilliant, conflicted genius. The film was extremely well done. I had a pit in my stomach the rest of the day.